An intense moisture treatment that provides long-lasting nourishment and hydration to dry, dehydrated hair. * Satisfaction test - 69 people - after 15 days of use. Apply to hair lengths and ends. Leave-in for 5-20 minutes. Comb through and rinse. In case of contact with eyes, rinse thoroughly. 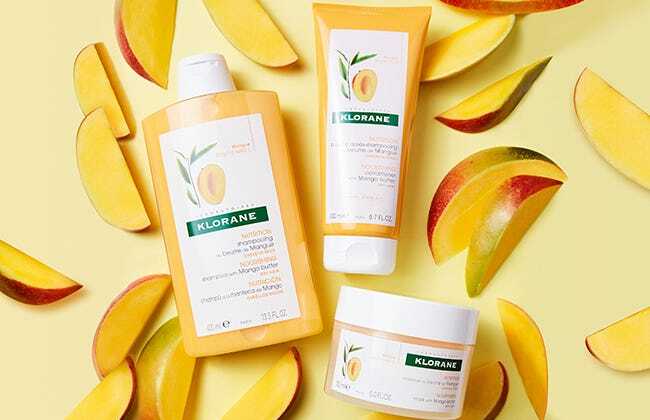 KLORANE BEAUTY TIP : For deep hydration, apply mask to hair lengths and ends. Turn Klorane Shower cap Terry-cloth lined inside-out, and leave treatment on under cap for a full 20 minutes. Rinse.